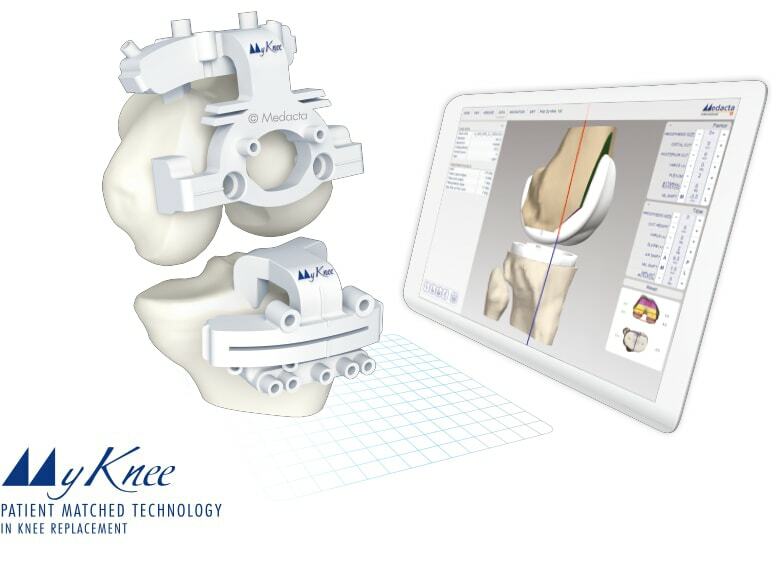 The entire GMK Total Knee System has been designed to preserve joint functionality without dramatically altering anatomy and kinematics, even in cases of severe ligament instability or massive bone defects. 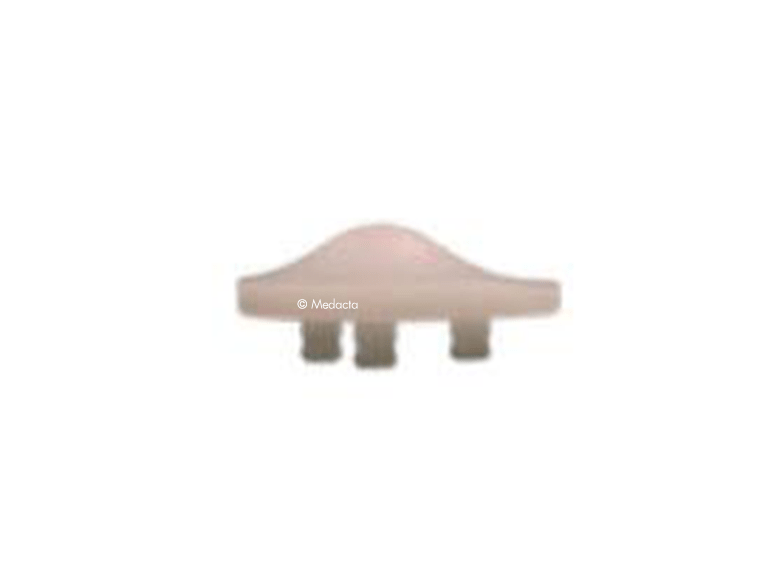 The stress-free modular mechanism of the GMK Hinge implant, along with the bone preserving design and comprehensive range of options, help the surgeon to address demanding joint salvage procedures as well as unstable primary surgeries where the clinical indications show evidence for a constrained implant. 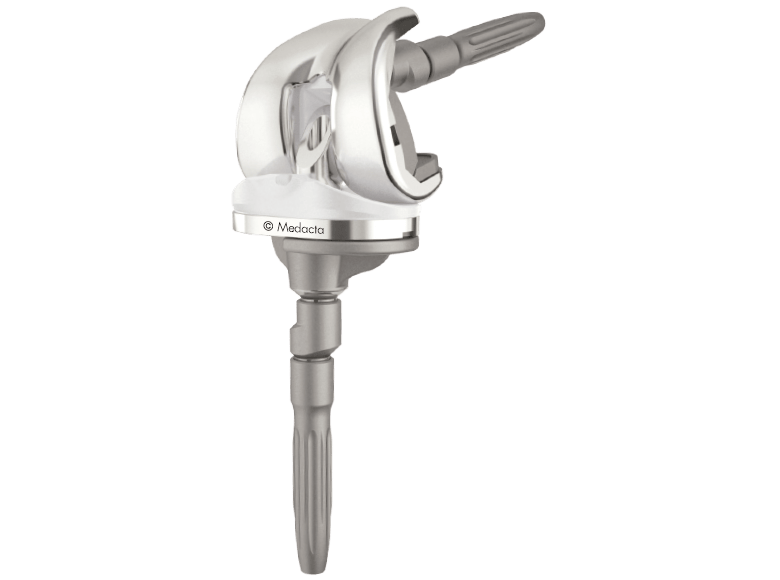 Intuitive instrumentation will assist the surgeon to reduce the number of intraoperative steps, potentially making the entire surgery more efficient. 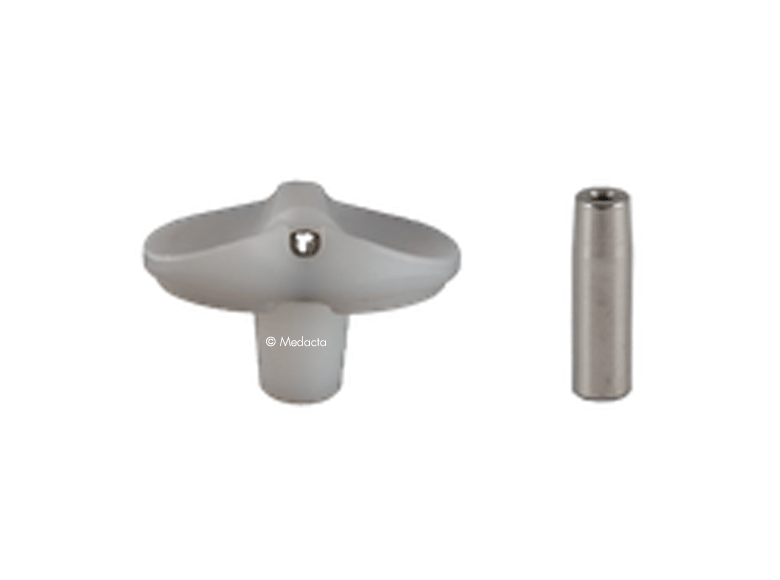 The GMK Hinge portfolio includes a comprehensive range of options to address multiple surgical scenario. 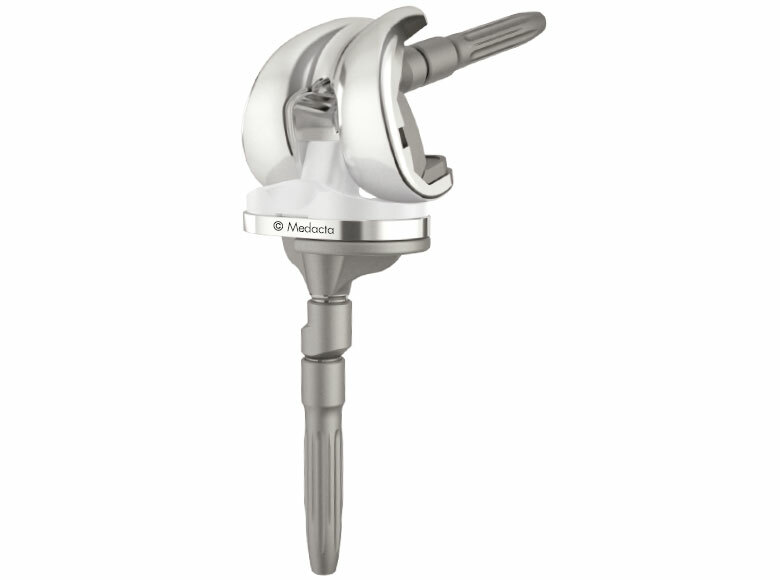 The femoral component is supplied pre-assembled, allowing to potentially save time in the operating room. 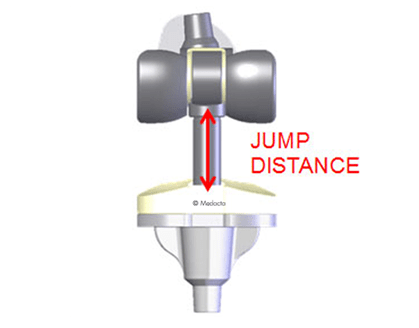 Moreover, the hinge mechanism is engaged intra-operatively thanks to a provided standardized torque wrench which doesn’t require luxation of the knee joint, thus is potentially less invasive to soft-tissues. 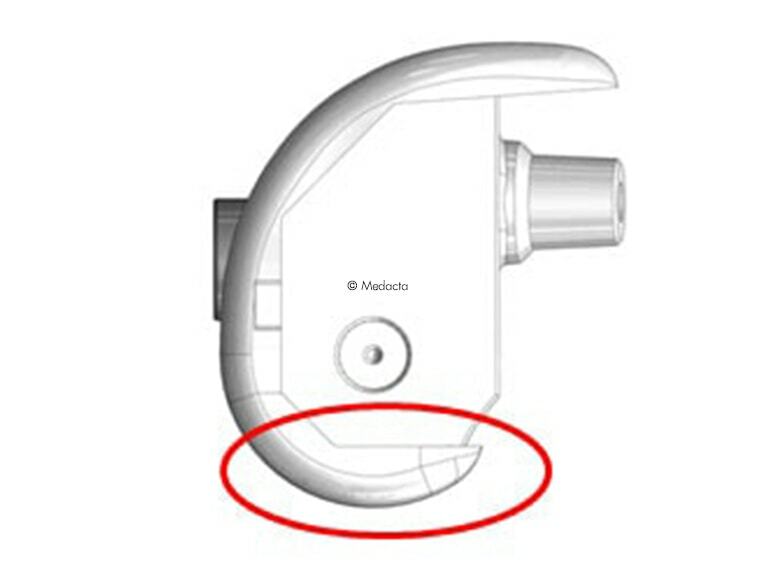 Moreover, the hinge mechanism does not extend on the posterior condyles, thus avoiding additional bone removal. 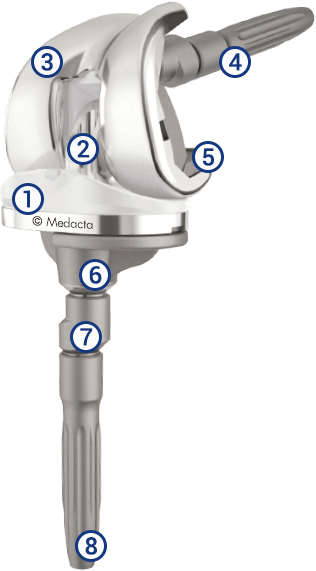 The internal surface of the tibial baseplate is mirror polished, potentially minimizing the risk of backside wear. 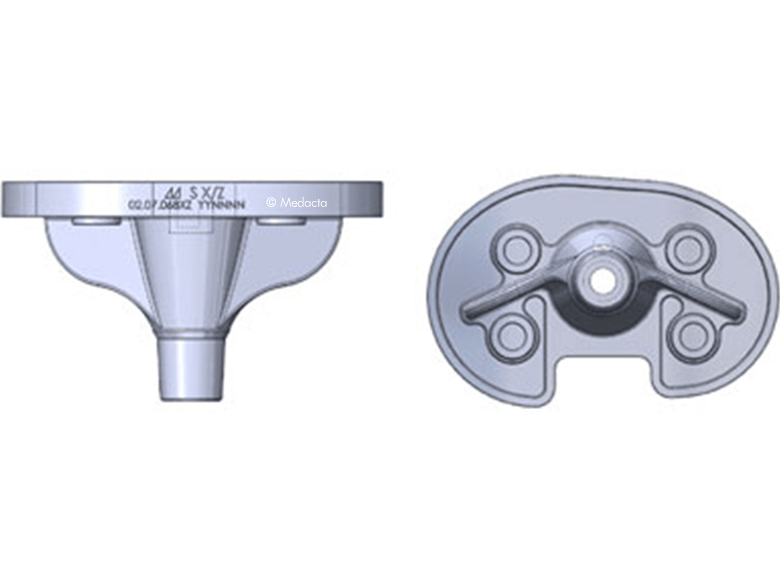 The keel dimensions are the same as the GMK PRIMARY, allowing for the use of a modular offset option. 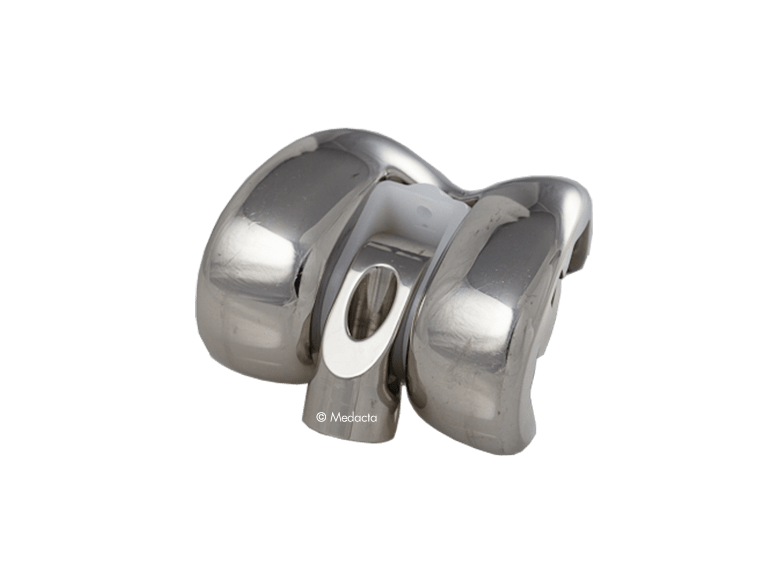 Mechanically attached augments are available to fill femoral and tibial bone defects and manage the position of the joint line. 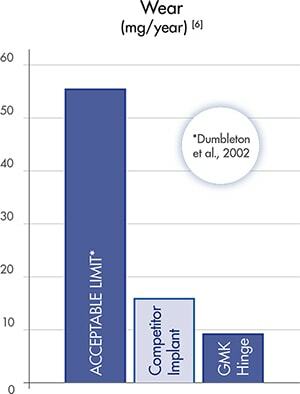 The jump distance, which is a key indicator of anti-luxation safety, increases with the inlay thickness from 28 mm to 42 mm. 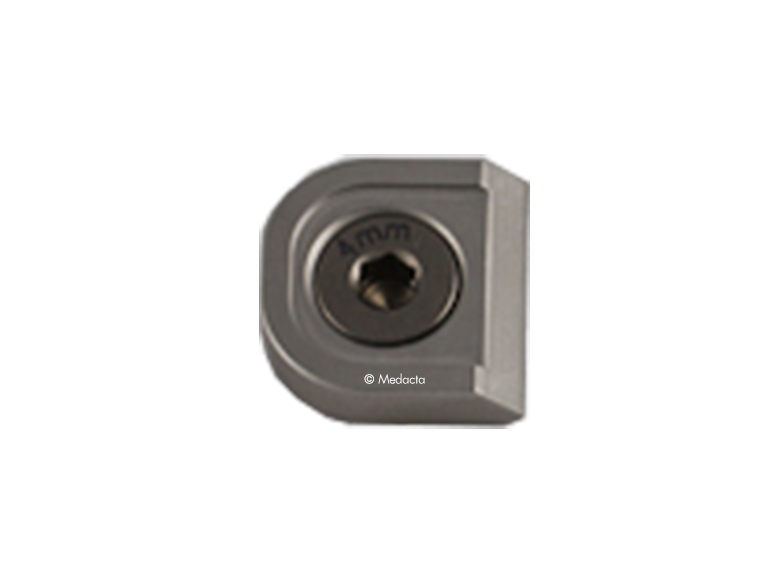 GMK HINGE fixed inlay provides excellent wear resistance, showing significantly lower wear values compared to the acceptable limit found in the literature . 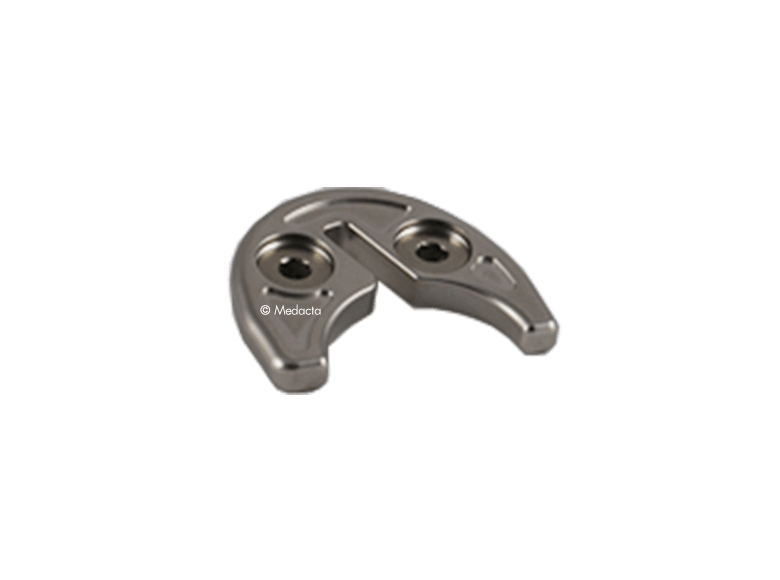 Interchangeable modular offset adapters are available for the femur and tibia in order to provide flexibility with a reduced inventory, avoiding the need for additional offset stems. 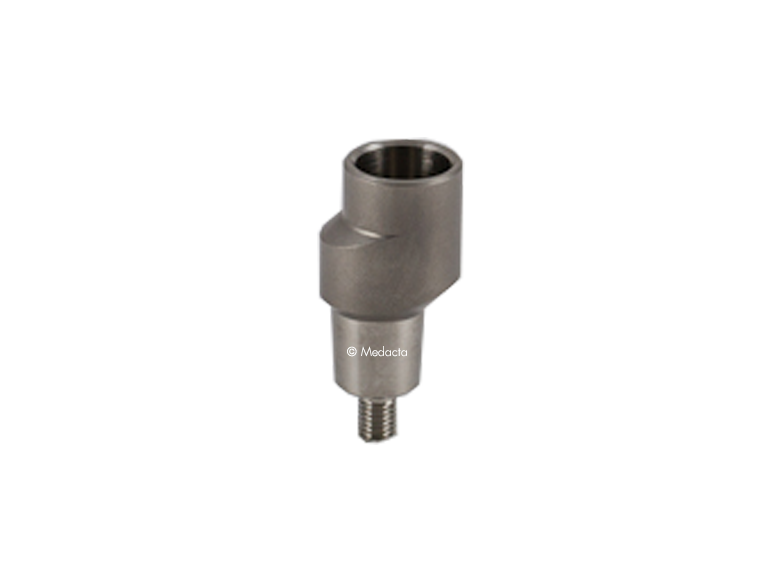 All modular connections are accurately tested and dedicated instruments are available in the operating room to provide a reproducible fixation. 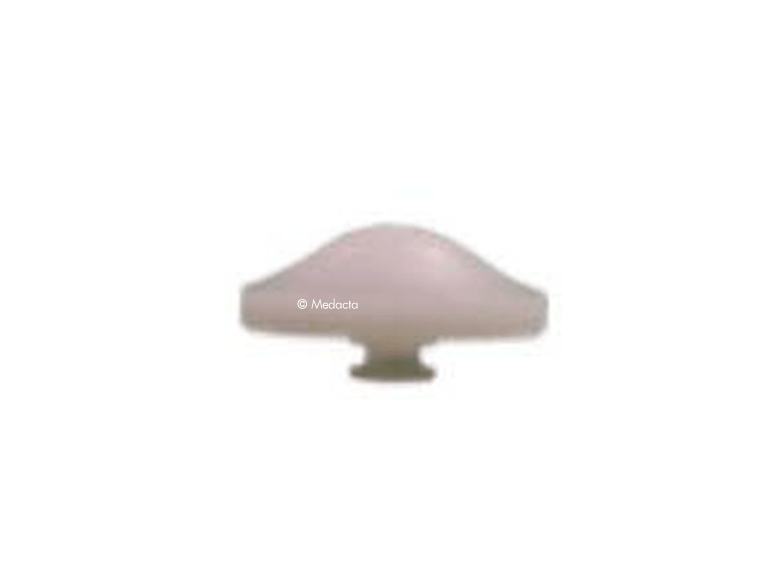 Due to different clinical indications, both cementless and cemented options are available. 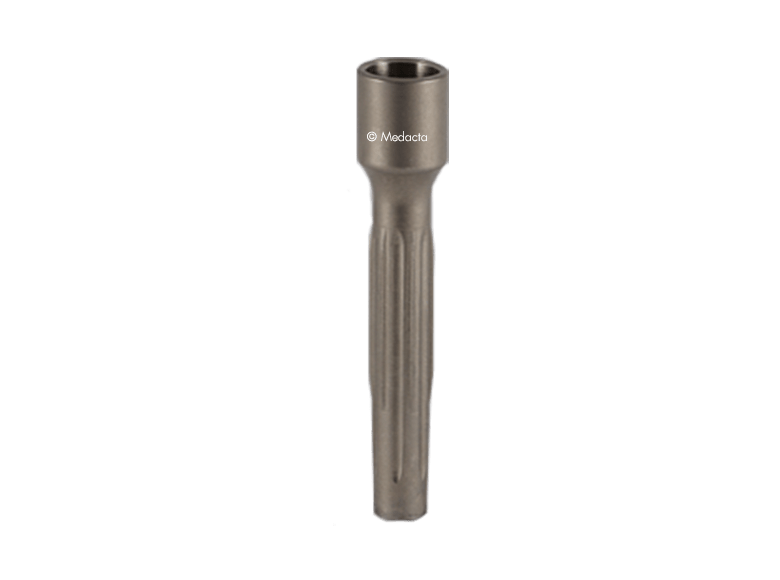 Cementless stems have longitudinal splines to provide rotational stability, whereas cemented stems have longitudinal pockets for cement and tapered shape to facilitate insertion. 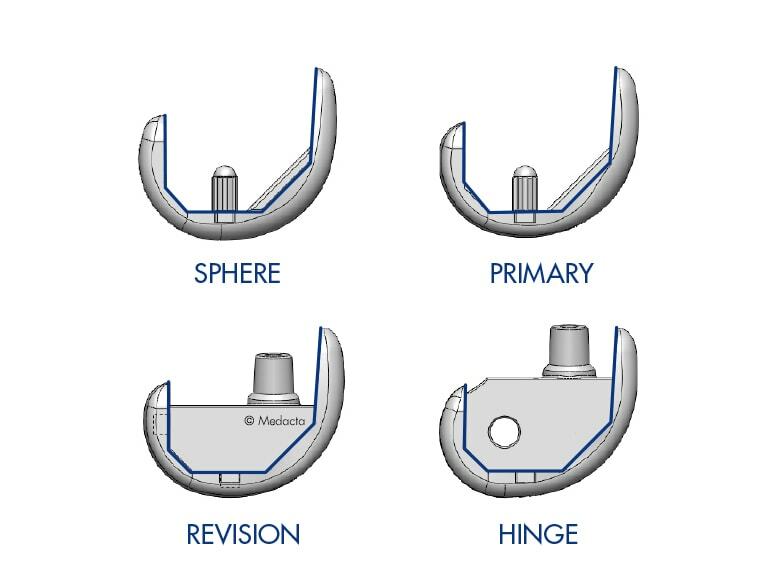 The primary goal of a GMK Hinge knee replacement includes the restoration of anatomical alignment and functional stability, the accurate re-establishment of the joint line and the fixation and stabilization of the revision prosthetic implant components. 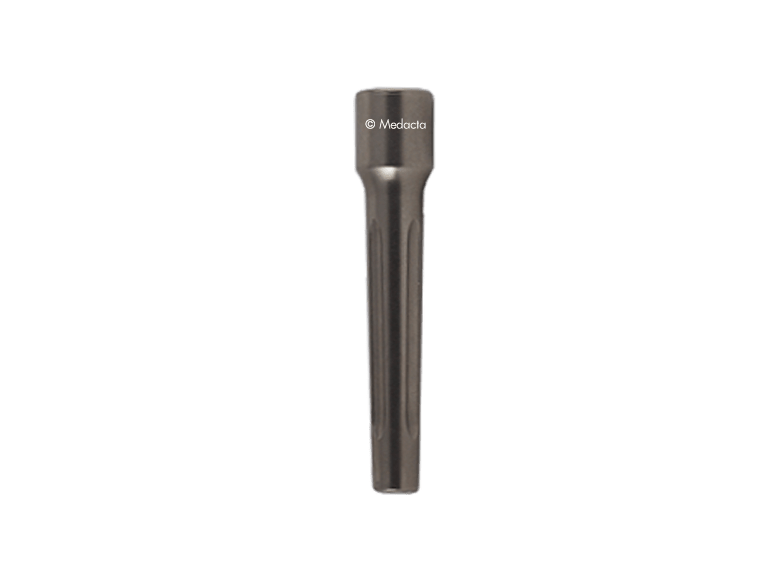 The GMK Hinge has flexible instrumentation which allows the staff to manage revision cases as well as difficult primary cases, adapting to every surgical scenario. 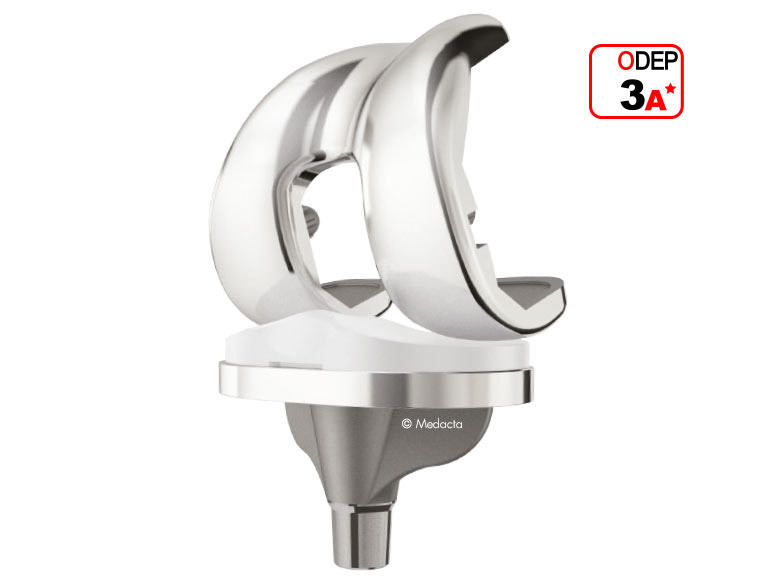 Dedicated instruments are provided to reproduce the validated offset on femur and tibia. 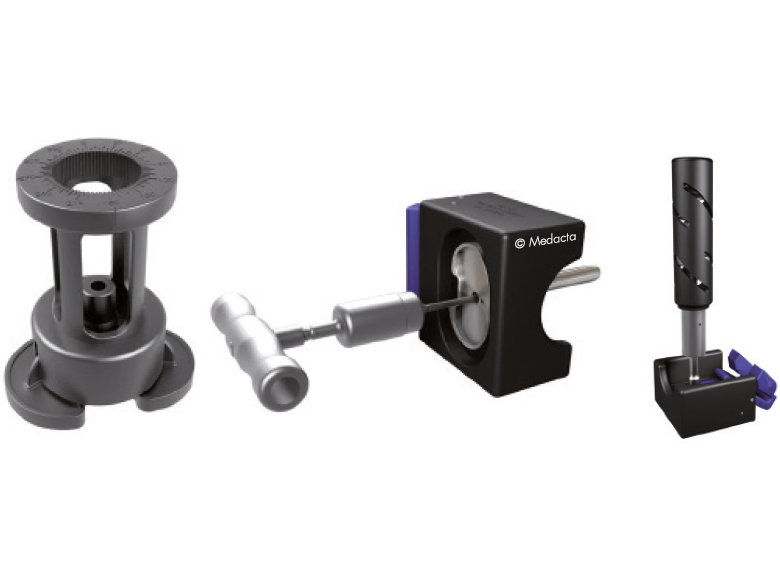 All modular connections are then secured by a Morse taper, an additional screw, dynamometric wrenches and special impactors which provides a standardized and reproducible procedure. 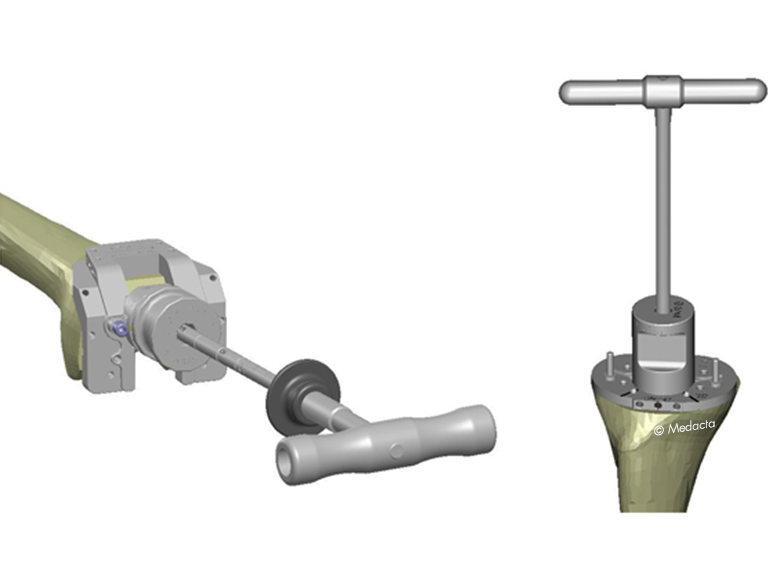 The modular hinge mechanism is engaged intra-operatively thanks to the torque wrenches provided in the instrument set. 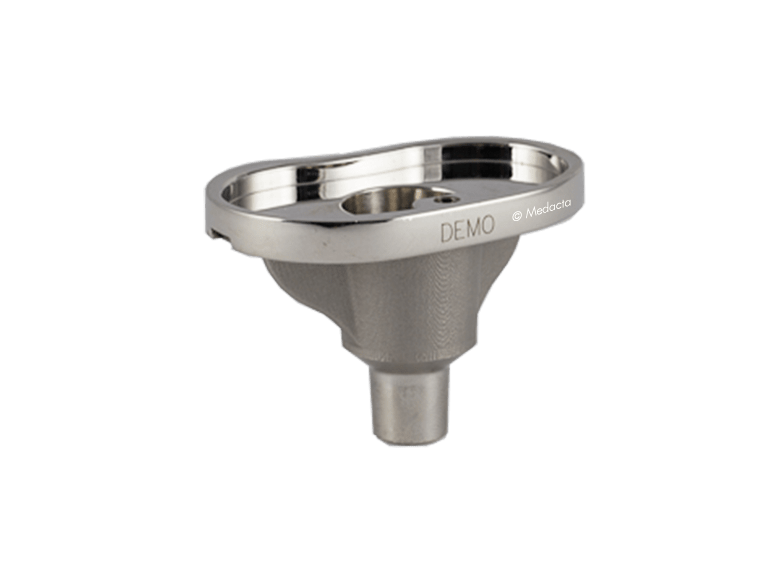 The instruments provided allow the surgeon to switch, intra-operatively, from a less constrained to a more constrained inlay when more stability is required. 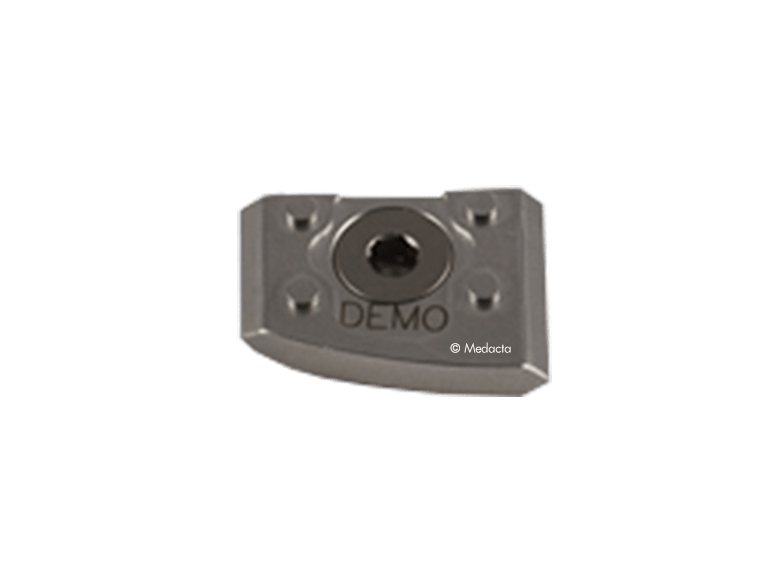 Same internal femoral profiles of GMK HINGE, GMK REVISION and GMK PRIMARY provides a full transition through the system, with the freedom to choose intra-operatively the most suitable constraint for each patient, even after the bone cuts have been performed. 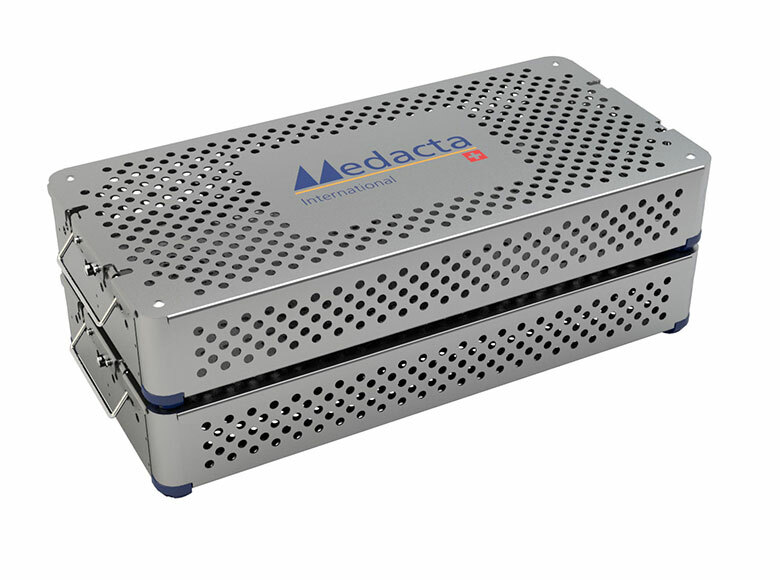 In addition, modular add-on instruments trays make the procedure smooth and time-conserving, potentially allowing for increased OR efficiency. 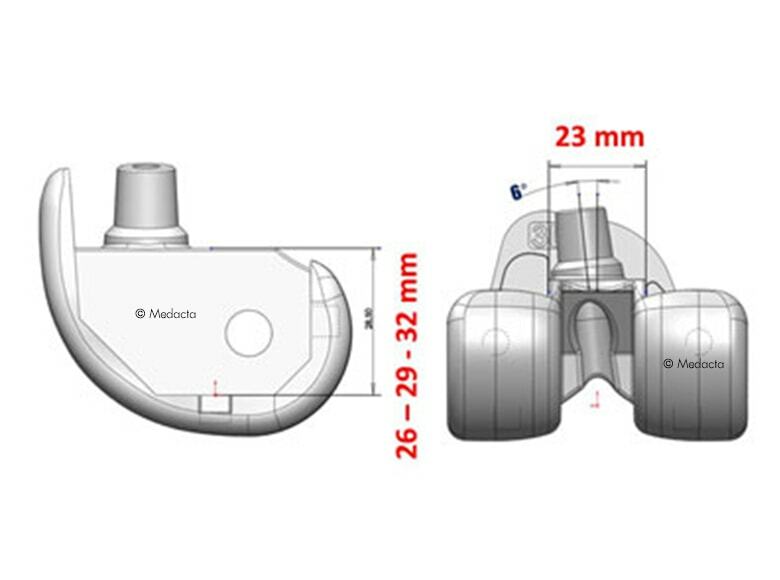 Medacta offers you the opportunity to manage challenging cases, such as uni-compartimental knee revisions or difficult primary cases when augments or intramedullary canal fixation is required, with a system specifically designed for each individual patient: this is the synergy between GMK revision system and MyKnee®. 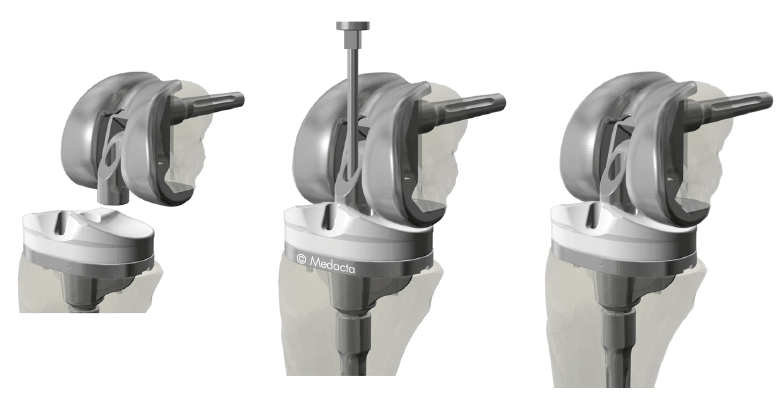 The accurate pre-operative MyKnee planning combined with the straightforward crossover technique potentially allows one to manage challenging procedures with total confidence!